A daytime vitamin C serum that delivers advanced environmental protection and improves the appearance of lines and wrinkles, loss of firmness, and brightens skin's complexion. This product qualifies you for free shipping! C E Ferulic features a synergistic antioxidant combination of 15% pure vitamin C (L-ascorbic acid), 1% vitamin E (alpha tocopherol), and 0.5% ferulic acid to enhance protection against atmospheric aging – environmental damage and premature signs of aging caused by free radicals from UVA/UVB, infrared radiation (IRA), and ozone pollution (O3). In addition to antioxidant benefits, C E Ferulic improves the appearance of lines and wrinkles, and the loss of firmness, while brightening skin's complexion. SkinCeuticals research shows that specific combinations of antioxidants, when effectively formulated, perform synergistically to provide results superior to each single antioxidant formulation. Published in 8 peer-reviewed scientific journals, C E Ferulic is a vitamin C serum formulated under the Duke Antioxidant patent. The Duke Antioxidant patent describes effective delivery of vitamin C to skin. In order for a vitamin C serum to be effective it must be formulated with pure l-ascorbic acid (vitamin C) at an acidic pH within the 2.0-3.5 pH range and have a concentration between 10-20%. 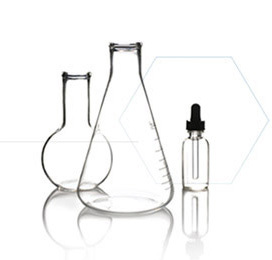 SkinCeuticals is the only brand to formulate antioxidants according to these parameters. In the morning after cleansing and toning, apply 4-5 drops to a dry face, neck, and chest before all other skincare products. Complete your regimen with a SkinCeuticals sunscreen. When used together, SkinCeuticals antioxidants and broad spectrum sunscreens provide more comprehensive protection against visible aging caused by environmental aggressors. 15% L-ascorbic acid: Lauded for its superior antioxidant benefits, this highly potent form of pure vitamin C helps neutralize free radicals and helps protects against oxidative stress while providing visible anti-aging benefits. 1% alpha tocopherol: This form of vitamin E neutralizes free radicals and replenishes skin lipids. It has been proven to act synergistically with vitamin C.
0.5% ferulic acid: A plant-based antioxidant, ferulic acid neutralizes free radicals and enhances the antioxidant benefits of vitamins C and E.
C E Ferulic® is rated 4.6 out of 5 by 271. Rated 5 out of 5 by McClung from Love it I have been using this for a few months now and love it. I am 24 with fair freckled skin. I cannot speak on the antiwrinkle properties as I am not at that point, however I use it for a whole other reason. This stuff makes me breakouts go away and stay away! Whenever I stop using it I can see the difference in my skin and pesty zits come back. It also seems to help with the redness of my skin, but I have noticed that if I use it too much my skin starts looking pale and i'm not sure why. Overall I love this product and cannot do without it. This is going to be a lifelong must have for me in keeping my skin looking vibrant and soft. Rated 3 out of 5 by Anonymous from interesting texture i am 31 years old and have been using this product for about 3 weeks now. my skin is mostly dry with some occasional break outs, clogged pores on my nose and chin. after applying this product my skin stays very sticky, so im not quiet sure if it is the right one for me?! I actually have to wash my face after using it (its written that you cant wash off its effects, it stays on at least for 72 hours, so im not too concerned about it) and before applying my moisturizer because of its sticky feeling. I also have doubts that my clogged pores on have actually got worse...before i was using retinol product and that definitely made my skin better.. Rated 5 out of 5 by Anonymous from Won't ever go without this product! I was first exposed to CE Ferulic by an esthetician at a spa around 8 years ago. She convinced me to buy a Clarisonic brush that she also used on me and the CE Ferulic. I have used both ever since, along with the B5 Hydrating Gel and the Skinceuticals UV Defense SPF 30 daily. I am 58 and I get compliments on my skin often. It glows, has an even tone, and just looks healthy. Most of all, I know that I am using the ultimate protection for my skin against the sun and elements, free radicals, etc. I have been in the sun all my life, but you would never know. These products are awesome, along with Skinceuticals products in general. They are #1 in my book, and I will never be without any of them. Rated 5 out of 5 by Anonymous from Best product ever I've been using CE Feurulic for only about two months now, but I have seen a dramatic improvement in my skin including its brightness, texture, softness, and appearance of lines. If I had to recommend one product to my friends (and I have) it would be this. I've already brought a batch for my mom and will continue using this for the long haul. I've tried tons of other products out there including Creme de la mer, provage, etc. and this has made the most dramatic difference - worth every penny. I definitely have very fair skin where everything is visible and this product just does wonders. Rated 5 out of 5 by Thrasher from AMAZING I am 35. I live in New Orleans where it is hot, humid, and I am outside quite a bit. This product has been a great new staple in my routine My skin is usually very sensitive, but this never irritated my skin in any way. It has helped brighten my skin tone and really helps my spf go on smooth. I recently went to the beach, between this product and my skinceuticals spf I did not get any sun on my face/neck. My esthetician said this was basically like wearing a blanket on my face, I definitely believe her now. Highly recommend. It is not oily on the skin. Feels light and breathable. Rated 3 out of 5 by DeeW from Tighter skin I have just finished my first bottle. The substance is sticky, my face is tacky. I just cannot see putting anything more on my skin bcuz I'm not certain it would be absorbed. However I have changed my routine so that I put it on in the evening after cleansing. My face remains tacky for hours, but after sleeping, in the morning it has been absorbed by my skin (I don't see anything on my pillowcase) I do have tighter skin after use. The next day I apply my moisturizer with SPF and etc. I alternate the CEFerulic nights with my retinol regime, I couldn't use both at the same time. I will try one more bottle and then decide whether or not to continue.